On Tuesday the two groups reportedly attacked each other with sticks and stones at Narsampet. 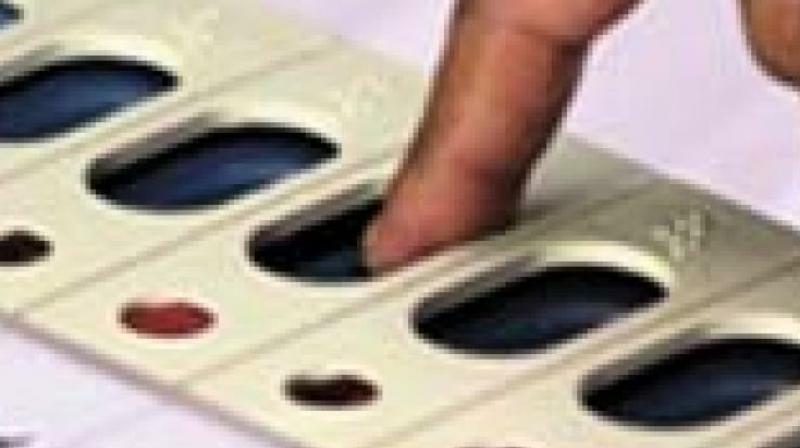 Hyderabad: As many as 104 incidents of poll violence have been registered in the state since the election code came into force. A majority of clashes has been in the rural belts, mainly between TRS and Congress workers and a few between TRS and BJP activists. On Tuesday the two groups reportedly attacked each other with sticks and stones at Narsampet. On December 2, tension prevailed at Mudigonda mandal headquarters in the Madhira Assembly constituency as Congress and TRS workers clashed. In the city limits, a few incidents have occurred. In November, Telugu Desam and Telangana Rashtra Samiti cadre were involved in a scuffle in the Serilingampally constituency after TRS supporters objected their rival TDP candidate's campaign. This incident occurred in the locality of Allwyn colony. The TRS workers accused the local TD members of breaching the election code, by arranging breakfast for the party supporters. Also in November, another clash was reported in Jubilee Hills constituency involving TRS Jubilee Hills candidate M. Gopinath and one Mr Satish Reddy. The situation turned tensed that Hyderabad Mayor B. Rammohan had to pacify the two rival groups. In October, the police booked cases against Congress and TRS workers for clashing during a religious procession at Malkajgiri. TRS Corporator for Malkajgiri division, N. Jagadish Goud and his two sons N. Abhishek Goud and N. Aravind Goud were booked for attempt to murder, rioting and three more grave sections under the Indian penal code following a clash. The trio was sent to remand. The police have been booking cases under the IPC based on the nature of the crime.